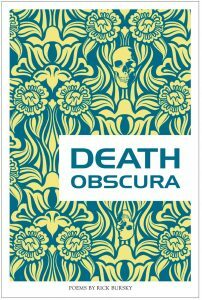 MFA, poet and author of the poetry collections I’m No Longer Troubled by the Extravagance; Death Obscura; and The Soup of Something Missing, which won the Dorothy Brunsman Prize; and The Invention of Fiction. 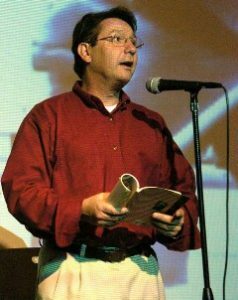 Mr. Bursky’s work has appeared in American Poetry Review, Iowa Review, Harvard Review, Black Warrior Review, and Prairie Schooner. When I took my first UCLA Extension class I had no idea how it would change my life. It not only taught me poetry, it gave me an art to love. It’s been about nineteen years since then. In that time I’ve earned an MFA, published two books, and countless poems in literary journals. Now being back at UCLA Extension, I don’t just want to teach, I want to inspire, want to share my enthusiasm and do for someone what the program did for me. Isaac Newton said, “If I have seen further than others, it is because I have stood on the shoulders of giants.” I’m only five seven, but there’s room on my shoulders. Blog: Click here to go to Rick’s blog.